Maple Dreams is India’s pioneer Business coaching company focused on transforming the SME segment in India into world leaders. We specialize in personal entrepreneurial coaching, training and consulting for business growth. Maple Dreams is a Business Coaching and Brand Solutions firm helping small and medium enterprises become profitable growing corporations. Our vision is to enable people and organisations to continuously assess, develop and transform themselves into growing, profitable and fulfilled entities. Our activities include Personal and Business Coaching, Sales training, Motivational pep-talks, People development & Marketing consultancy. Our primary Focus is the development of professional practices and speedy growth in the SME segment. Maple Dreams was conceived on 1st June 2007. Since then, we have successfully helped hundreds of Entrepreneurs, Business Houses and Individuals transform their world creatively. Our organization was conceived with the passion & desire to help Small and Medium Sized enterprises, professionals to visualize, plan and build a life of their dreams. Our coaching, counseling, training & marketing consultancy aims at helping individuals systematically put in practice their inner most capabilities through focused actions, to achieve their most desired goals. Our primary Focus is the development of professional practices and speedy growth in the SME segment. 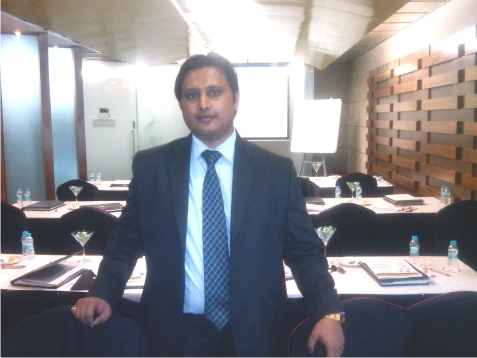 Mohnish Nair is the Director & Chief Consultant at Maple Dreams. He has personally Coached and trained Hundreds of Business Houses and Entrepreneurs. He started his career with humble opportunities like catering services. Further, Mohnish put his creative skills to use and started as a freelance copywriter & graphic designer. He went on to pursue his love for knowledge & training and joined as a executive assistant in a corporate training company. By the age of 23, Mohnish was promoted as the Deputy General Manager – Marketing. In 2007, Mohnish Nair started Maple Dreams to help small business owners discover their strengths and explore their potential. Mohnish is also a lecturer on sales and marketing in leading B-schools. By education, Mohnish Nair is an MBA with Specialization In Marketing & a Diploma Holder in Advertising & Public relations. His friendly yet result oriented approach with his clients and audience helps him to connect and extract the best from them. His humble background helps him stay rooted to the practical realities of strategic decisions. His HIGH ENERGY speeches and training programs are a favorite with ambitious and future focused businessmen. Mohnish Nair's programs are highly powerful, energetic and result oriented.